The school bells are ringing, the end of summer is here. Kids are back into school and sounds of electronic buzzers and cell phones keep the day on schedule. Not so long ago hand bells kept the time of day in school classrooms and one room school houses. The bell would ring, early in the morning to call the kids into class, at the end of lunch and recess, and even to time a test. Cincinnati was the home of many bell foundries. National Bell Foundry was on Spring Grove Ave. in Camp Washington from 1901- 1921. CW Coffin a famous bell maker, started Buckeye Bell Foundry in 1837. Cincinnati Bell Foundry was located on Columbus St. owned by G L Hanks in the 1840’s and was eventually absorbed by Coffin’s company. The Verdin Co. opened 1842 and is still producing bells today along with clocks and bell towers like Miami University’s Bell Tower in Oxford. Cincinnati continues to play an important part in the creation of school bells up to large freedom bells. Stop by Venice Pavilion for some of the most unique gifts for your special graduate! Only the best graduation gifts come from the heart. No one wants to receive just cash or a giftcard from their loved one. This special accomplishment can be tough to match expectations but, Graduation gifting can also be tough depending on who you’re shopping for, maybe they are mysterious teenagers or seasoned scholars set to embark upon their first foray into the “real world,” your daughter, son, niece or nephew deserve an exciting gift. Track down the perfect inspirational, funny or personalized item just for them! There are only two tried-and-true ways to win the heart of a recent college graduate: either with a sense of humor or a sense of Taste that includes a touch of class. Humorous or Nostalgic gifts inject a bit of levity into a bittersweet moment—saying goodbye to your best friends of four years is tough! Grown-up gifts, like wall art or photo displays, will help them let go of their dorm room posters and set up their first apartment in style. If you’re feeling especially sappy, you can always elicit a tear with a personalized memento. Just make sure to keep the crying on the down low—you wouldn’t want the future boss to see. St. Patrick’s Day weekend sale! March winds are blowing in, the daffodils and crocus are waking up, spring is just about here. It's time for The Celebration of the Green. A long standing tradition started when Dottie Grome restored the Venice Pavilion in the 80's. Once a year all the vendors come together in one Grand Sale, on St. Patrick's Day weekend. We offer 15% or more off store wide (unless marked firm) for just 2 days. Let your memories come to life as you stroll down the aisle of Venice Pavilion Antiques. Opening at 11 am on Saturday & Sunday mornings with door prizes and refreshments to Celebrate the Green, find your treasure and save a little green too. Read more St. Patrick’s Day weekend sale! With Valentine’s Day less than a month away, ‘tis the season to brainstorm ideas for what you can do with the person you’re dating. Whether it’s a long-term partner or someone new, there are plenty of great ideas out there, here at Venice Pavilion Antiques we have employed Cupid to come up with seven ideas to make this Valentine's Day special. 1: Set the mood with vintage vinyl, Beatles, Elvis, Emerson Lake and Palmer, Tijuana Brass, Moody Blues, Glenn Campbell, Blues, Country Rockabilly 45's, all genre can be found. 2: Adorn her, with hand made linens edged with crochet or tatting, colors and patterns to match any style. Hearts and Roses to chic Black and White, her taste, it will be just right. 3: Entwine the Heart, Victorian Valentine Card, a Love note, a Book of Poetry or an antiquarian book to travel in time, a search you'll surely find. 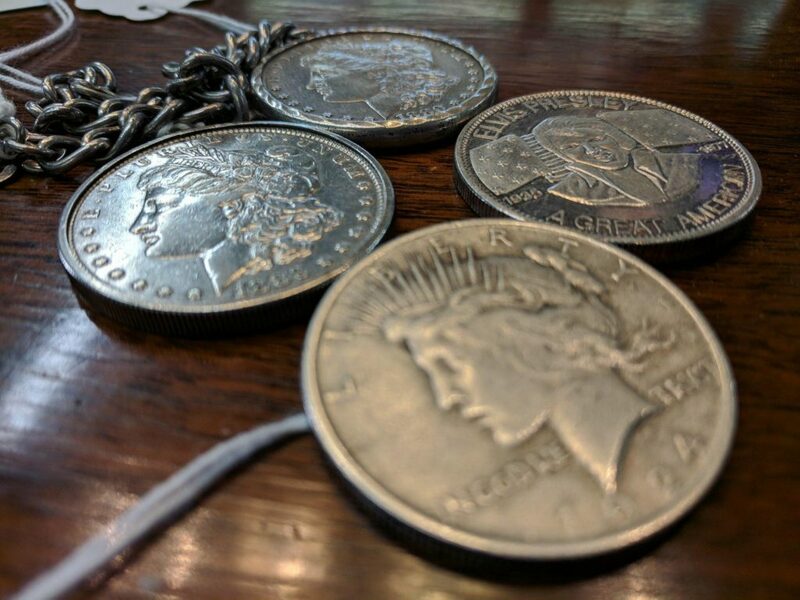 4: Make an investment in your Love with a coins of silver, a sports treasure or a piece of time. Collectors treasures to find, so many types so many kinds. 5: Create an evening to remember, crystal goblets to toast by the fire, beautiful depression glass and chic bar ware, set the table with vintage china and candles to light up the night. 6: Browse for a cook book for that special recipe, a delicious entree with a luscious desert to send the senses soaring. 7: Capture her heart with jewelry of the Northern Lights, Aurora Borealis. Crystals that capture the colors of the rainbow, reflecting the light drawn in. 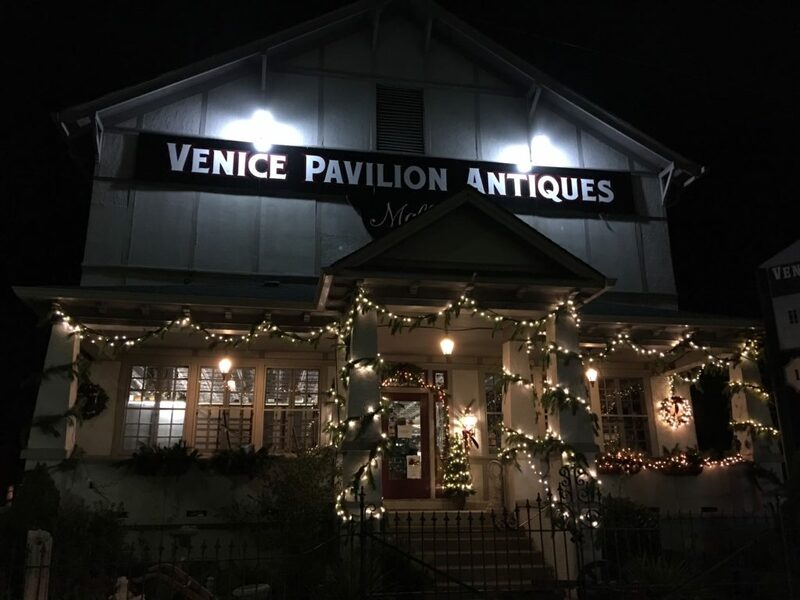 Estate and vintage necklaces, rings, pins and watches surely will bring a sparkle to the eye Check back during the week for more updates from Cupid at Venice Pavilion Antique Mall!